Well, for those who don’t enjoy the ice or the hardwood, another baseball season has officially begun with the Eagles loss. It’s bittersweet, yes, but hey, now we can focus even more of our attention on the news that really mattered over the weekend – what are Bryce Harper and Manny Machado finally going to do? On to the links! John had a new episode of Hittin’ Season where he talks to Scott Lauber about the weekend and to Eric Longenhagen about the farm system. John also talked about the arbitration settlements for some players and a lack of one for one very important player. Paul had a very interesting look at the need for the Phillies to pay Nola now. Justin and Liz had another episode of Continued Success that I think you’ll all enjoy. 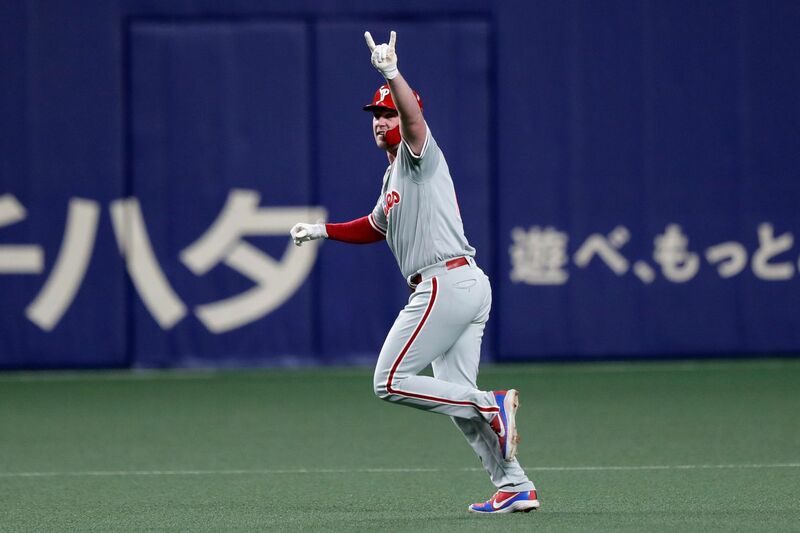 It seems that from this weekend, the Phillies organization is pretty confident that they will land either Harper or Machado, writes Matt Breen. Bob Nightengale echoes a lot of this, calling the Phillies the “clear cut favorite” to land Bryce Harper. There are some GMs around the league that believe, even if the team signs one of the premier free agents, they will still look to sign someone else left on the market. Meghan Montemurro ($) had a very detailed and engaging look at David Montgomery and how he is still involved with the team even after all the health issues he’s had. Never met him, but seems like a genuinely good man. What with all the football talk around here, perhaps the biggest story out of the weekend in baseball comes from Oakland where Kyler Murray is trying to figure out what to do with his professional life. There has been at least one major twist to the story, courtesy of Jeff Passan. Previous Post How Valuable is the 2021 Miami Pick?